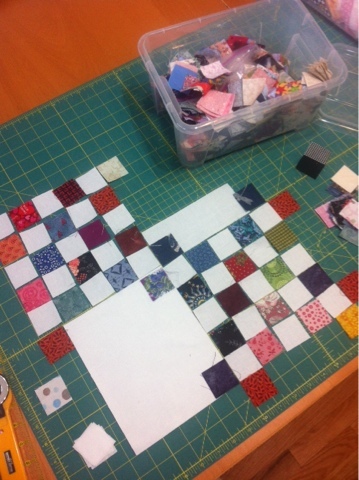 Scrappy quilts are my fav kind of quilts and yesterday I pulled out my bin of 1.5" scraps. The quilt I've been dreaming of making with these little pieces was a scrappy double Irish chain quilt. I love rearranging the pieces until I get something that looks good and I started with just a white background & scraps. 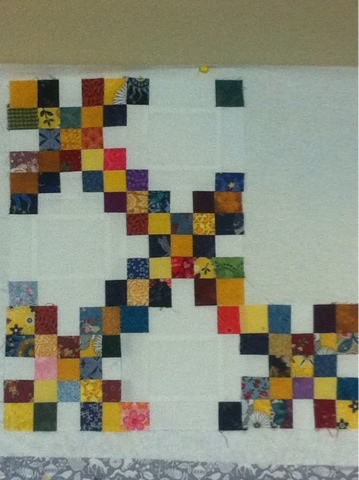 Then I put yellow scraps for the main diagonal chain of squares and liked that look. A few blocks later and this looks like a project to keep working on. 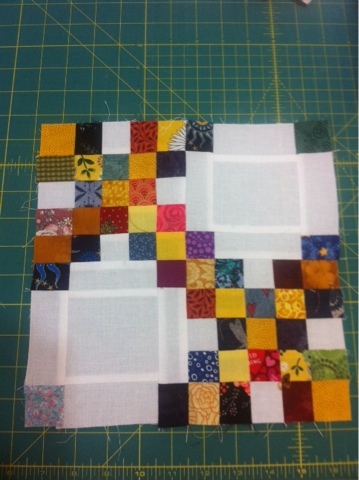 Can't wait to see a full-size quilt from these scrappy blocks.